This entry was posted in Prayer Books on December 10, 2015 by Bob Arndt. 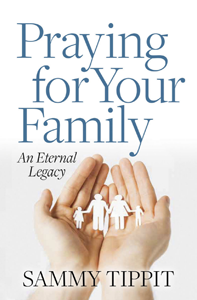 Sammy Tippit has reprinted Praying for Your Family in 2015. Praying for Your Family is now available in Kindle and paperback formats on Amazon.com and paperback from Sammy Tippit Books. Study questions now follow each chapter, replacing the original Praying for Your Family Workbook. For more information, go HERE!!. We pray that God will greatly encourage you as you pray for your family.